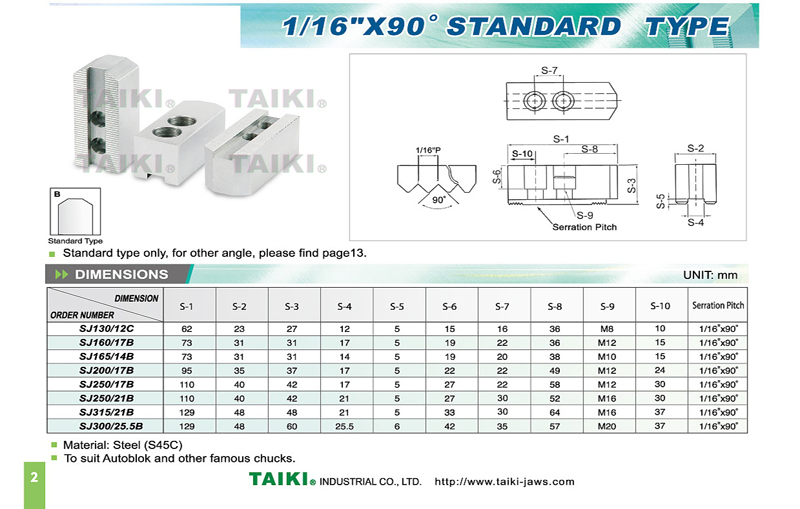 Soft Jaws - 1 / 16 Inch x 90 Degree (Standard Type)(SJ200/17B) - Taiki Industrial Co., Ltd. The soft jaws - 1 / 16" x 90 Degree- standard type (SJ200/17B) is used in CNC lathe. To suit Autoblok and other famous chucks.